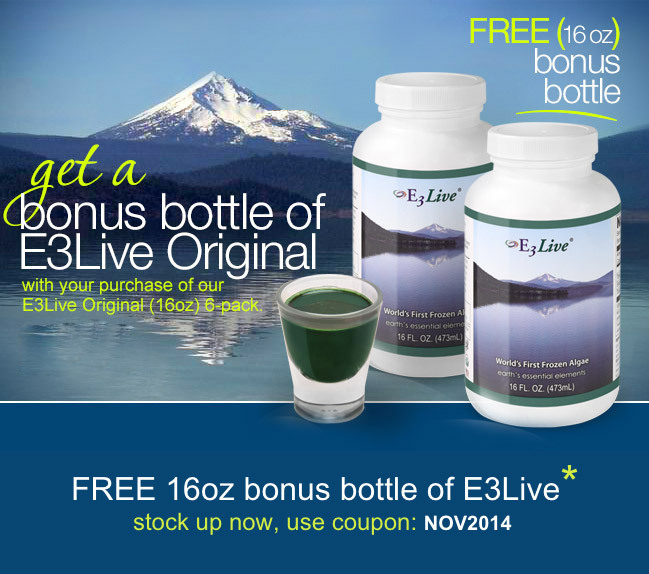 Get a FREE Bonus Bottle of E3Live! Buy a 6-pack of E3Live Original 16oz and get a bonus bottle (of same) free! Use coupon NOV2014 during checkout on www.e3live.com. A great way to share a bottle with a loved one, or have an extra to stock up for fall. Offer ends November 24, 2014.